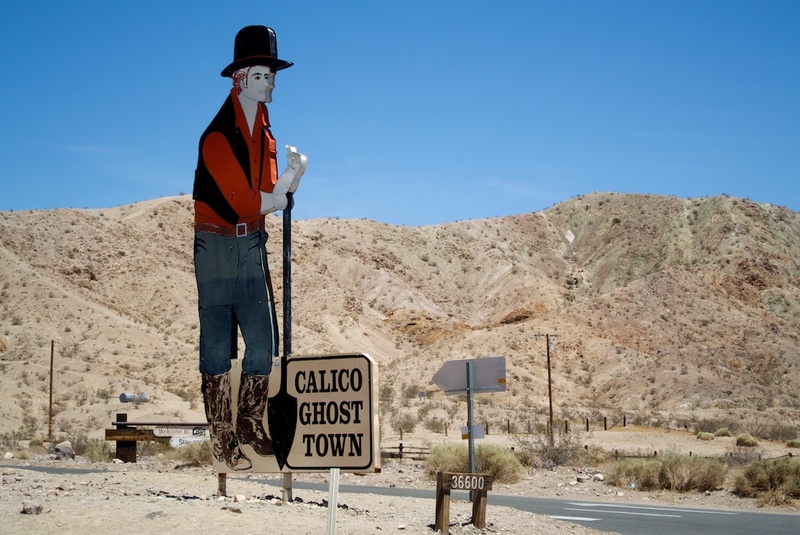 On the long desert drive to Las Vegas, one of the most exciting places you can stop is the famous ghost town, owned by Knotts Berry Farm, known as Calico Ghost Town. 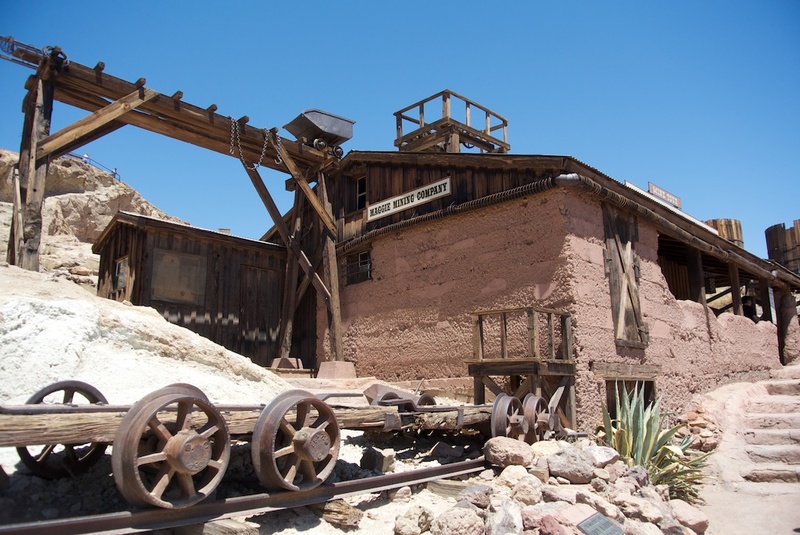 This unique representation of the history of California in this area is a great place to explore with the whole family. While it is more geared to younger kids and a little too updated for my liking it is a still worth a visit as there is a ton to see and photograph. 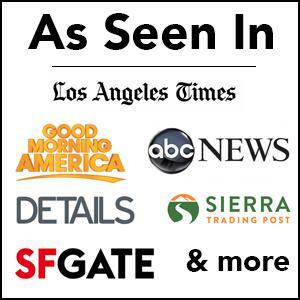 Check out my full review. 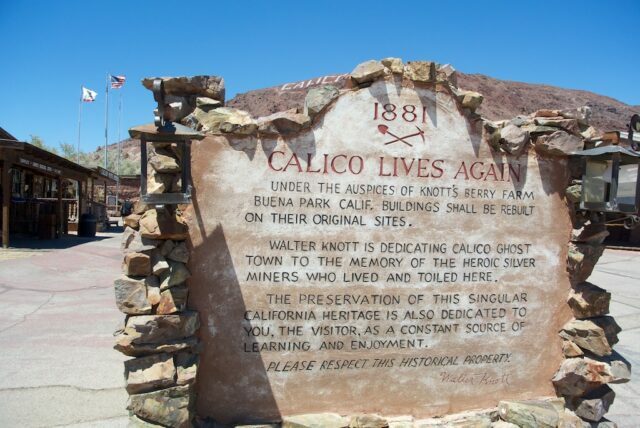 Walter Knott purchased Calico in the 1950’s architecturally restoring all but the five original buildings to look as they did in the 1880’s. 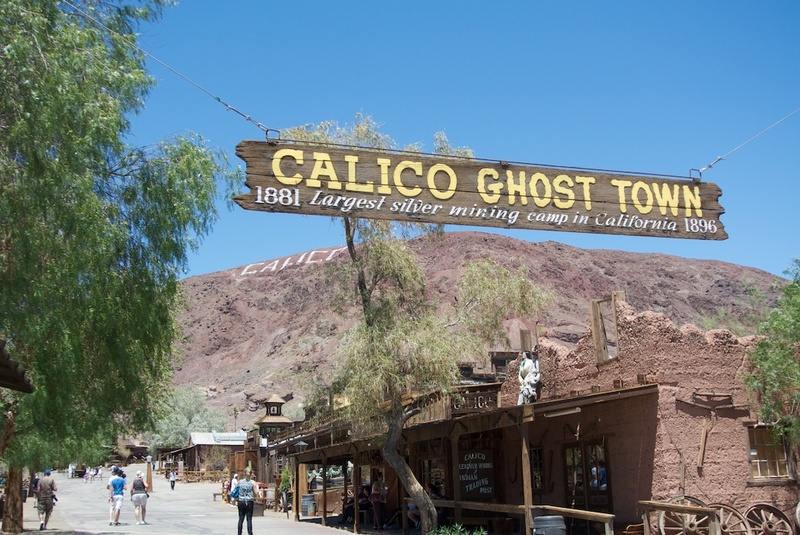 Calico received State Historical Landmark 782 and in 2005 was proclaimed by then Governor Arnold Schwarzenegger to be California’s Silver Rush Ghost Town. The town itself is pretty massive, and my favorite part about it is the mountain behind that shows the name of the city, it is excellent for framing pictures of the old unique place. They have a lot of representations of what the life of the time period was like, but a lot of it has become more modern now, I mean there is even Starbucks in on the old buildings. That being said, there was a lot of people here checking it out. Here are some of my favorite spots. 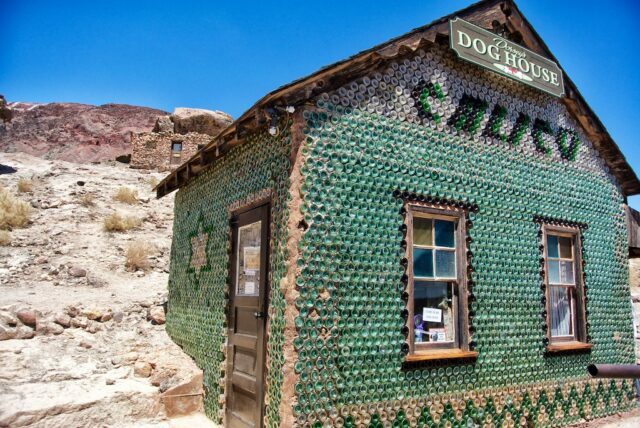 I am not sure what the history of this house is, but it is made entirely of bottles and is an excellent place to take pictures. The house now caters to people with dogs by selling supplies, but that doesn’t make the outside any less epic. My favorite place in the whole town is the old mine building. 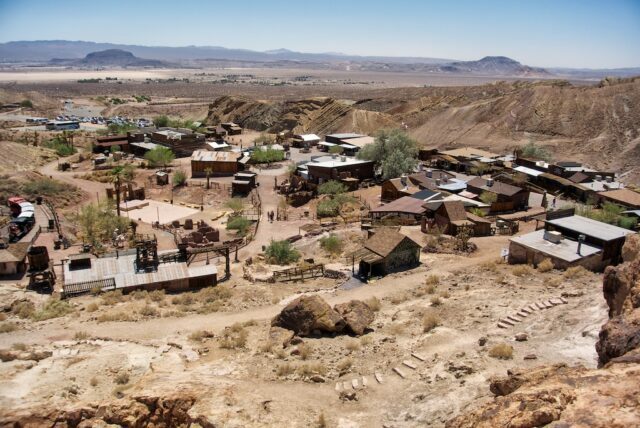 This is the area where you pay your $2 and go into the old mine. 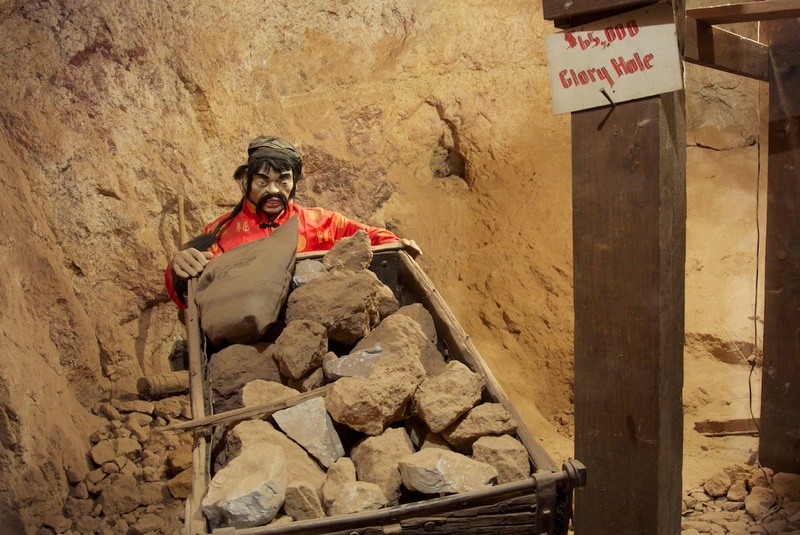 Walking through this mine provides a great way to safely experience the way mine life worked. They had mannequins showing where people slept and worked in the mine. They also had a sign to feature the “glory hole” where they pulled out $65,000 worth of silver. 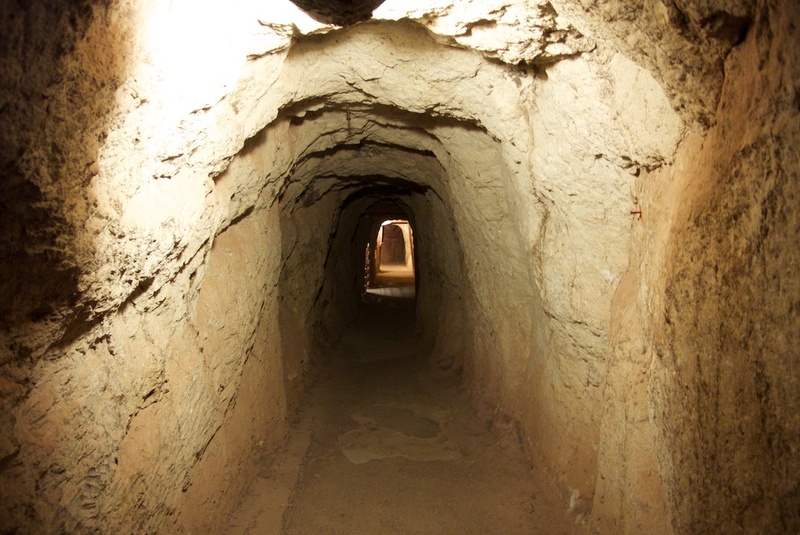 I am a claustrophobic person but never felt scared in the mine. It is well kept up, lit and ventilated so it shouldn’t be a problem for many people. 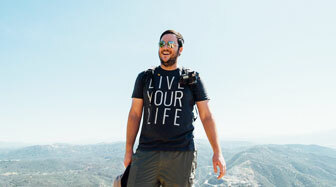 When you exit, you are at the base of the scenic view. At the back of the town is a short little hill you can walk up that gives you a great view of the town below. This area can also be accessed from where the mine exit is as well. 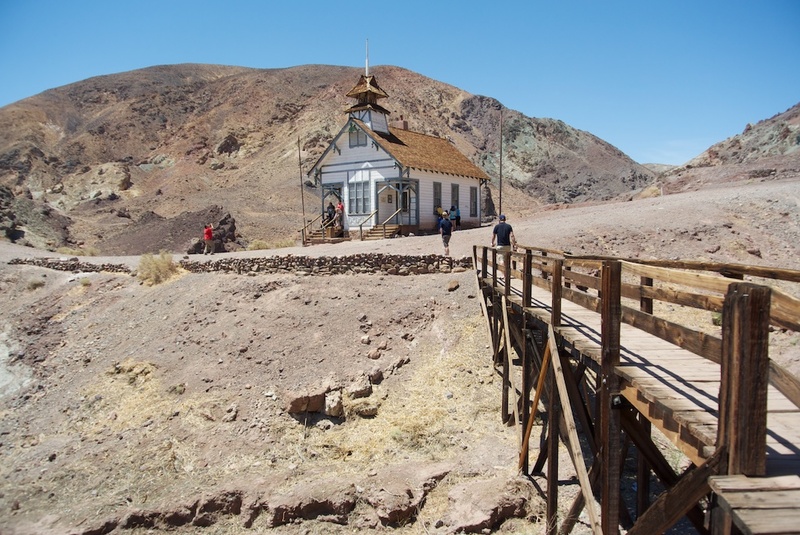 If it is hot, make sure you know there is no shade here, but that doesn’t stop it from being a great view. 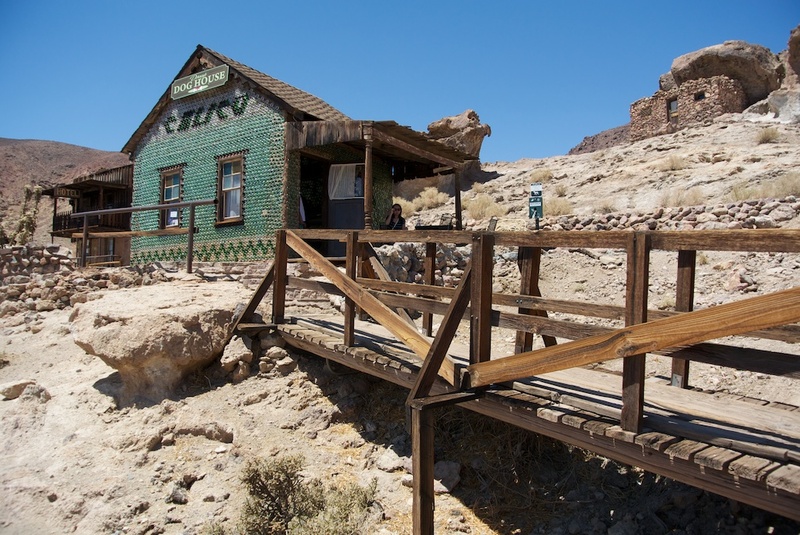 My favorite place in the town for photography is the old historic schoolhouse. 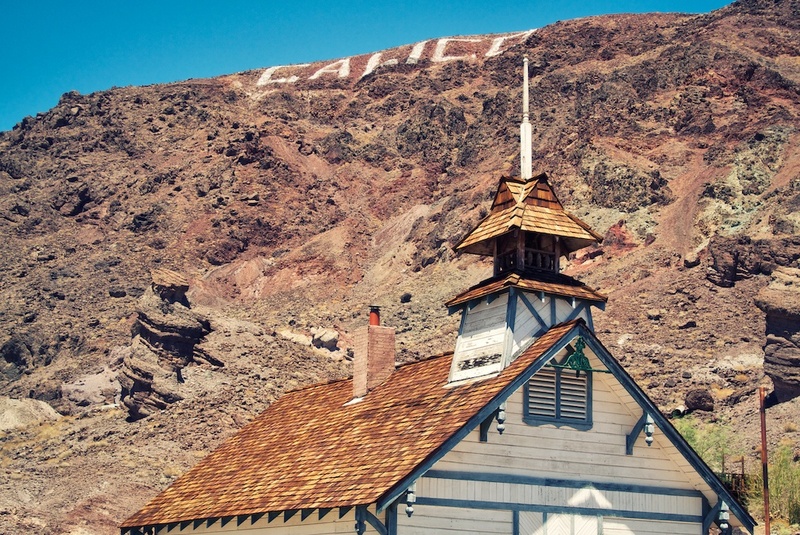 This site is nestled under the mountain that has the Calico sign on it, and that makes it a great place to take pictures. It can be hard to get a photo without people in it, but if you are creative, you can get some gems. 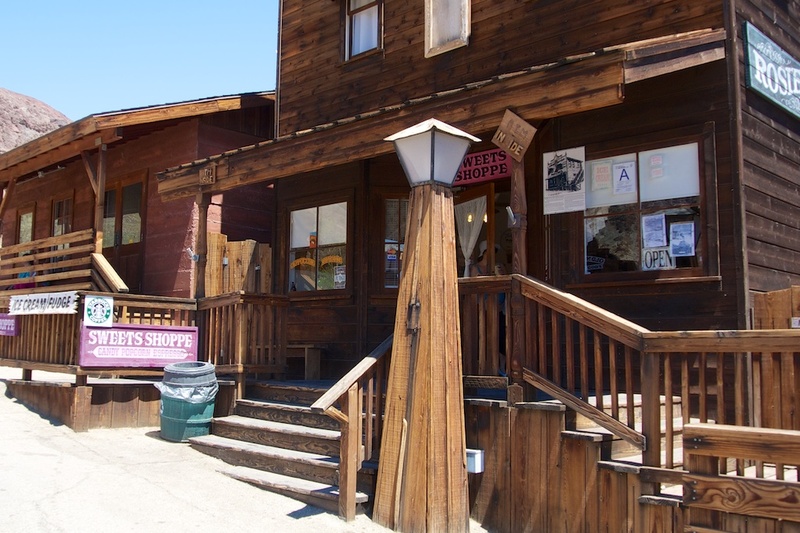 There are plenty more places to explore in the town such as the general store, sweet shop, barbershop and gold panning area but all of these were not as exciting to me as the above attractions. Calico Ghost Town is a great place to at least go once, let me know what you think in the comments.